A small apartment in town gets a make-over when the new owner buys the property. The apartment has 80 sqm, one big open space, a bedroom, and a bathroom. Light flowing in from the big window at the living area and a small window in the kitchen. One big pillar makes the way we can use the space more complicated. A strange shape for the bedroom which makes the room look small once the bed is put in. Almost half of the day area was 18 cm higher than the rest of the apartment. Making the floor equal everywhere was necessary to make the apartment easy to live in, and more safe. The dining table was positioned on a platform, quite dangerous to have a relaxed dinner. It was clear that the previous owner was not a passionate cook: the cooking top was on an island of 60 cm x 60 cm, towards the dining table. No space to put something around the cooking top, no extraction hood above it. Equalising the floor level opened the space and made it much easier to make an interior design where the different areas where flowing one into the other. Important, specially for a small place. Not having storage space was resolved by using the wall between the living area and the bedroom. This wall, with a width of 40 cm, was having an aquarium. The aquarium went out and was perfect for creating a bit more storage space. Really a lost space was the strange triangle close to the window, till we came to the idea of build in a closet. Shoes in the upper part and down there was space for a home bar. Do you think it is strange to have such a wall with doors, hiding some storage space in the middle of your apartment? Not when you approach it with some great design ideas. 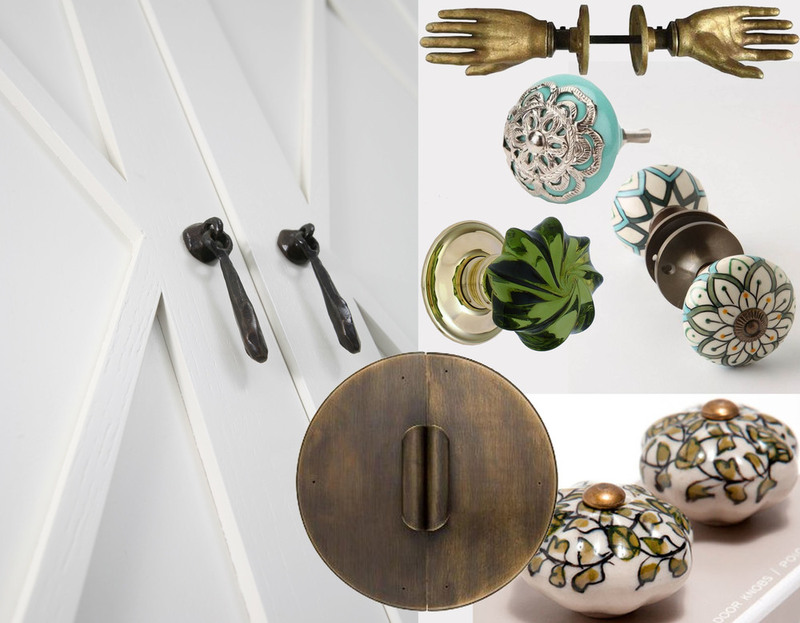 Sculpted details, special door knobs, wallpaper in the back of the closet and some gold touches. 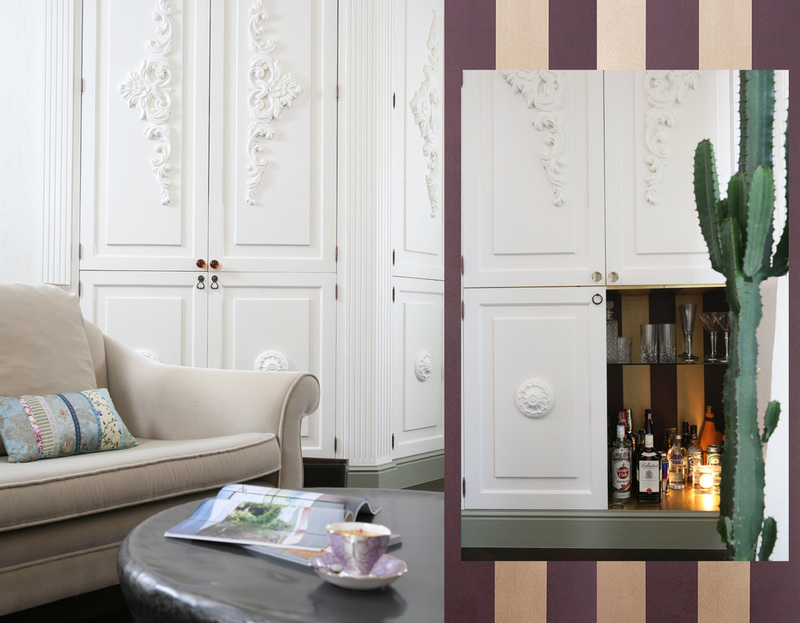 You can create an eclectic ambiance by choosing some special details or an important furniture piece. One big painting and a design radiator was enough to make the dining area an interesting center between the kitchen and the living area. It brings a soft touch to the buffet with the black and white harlequin motif at the entrance. The kitchen became a practical open space for a more passionate cook. Ivory and beige tones to make it blend in with the rest of the space as you don't want the kitchen to be the main attraction in the apartment. Metro tiles with a metal look for the backsplash above the cooking top. 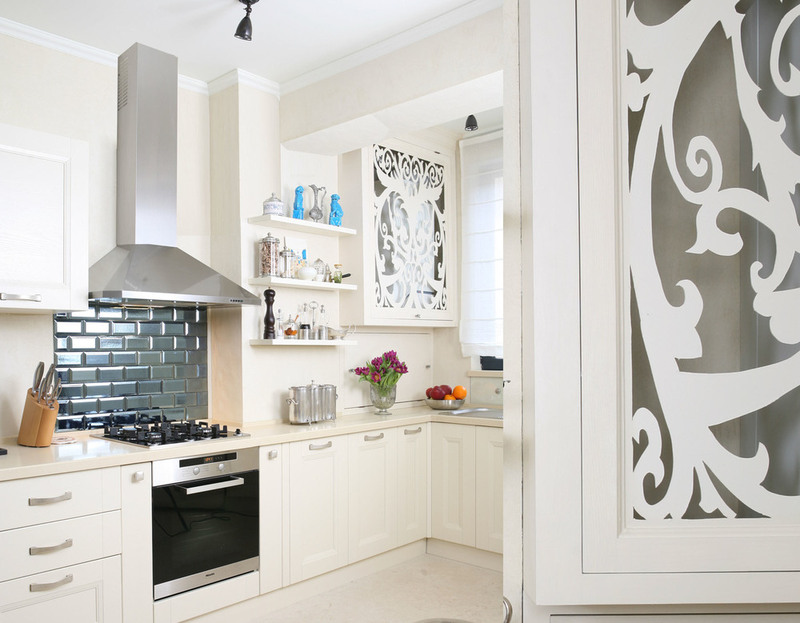 A hand cut grille for covering the central heating, in style with other more baroque pieces in the living area. In the bedroom the wall behind the bed was painted in blue with a special paint from Benjamin Moore, to have a balance with the more baroque headboard. Neutral colours with a colour splash, an important hanging lamp and a soft lilac colour for the silk curtains. Perfect combination for an eclectic bedroom. Classical sanitary pieces, a romantic mirror, a modern damask motive in the shower, stripes for the chest of drawers: all elements for a classical bathroom design, but very stylish as they come in a cool black and white mix. wish you a creative week.